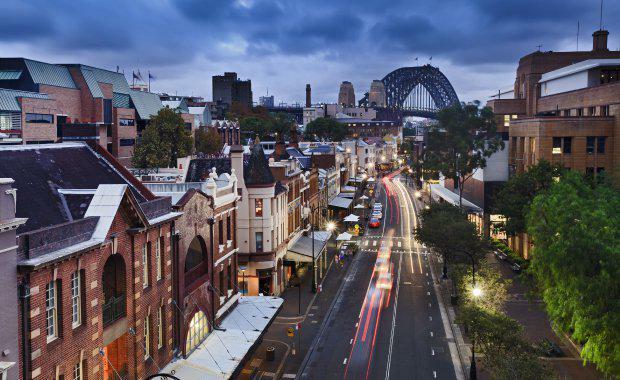 Sydney will be expecting an increase in the number of properties going under the hammer despite a drop in overall auction figures across the Australia. Out of all the other capital cities in Australia, Sydney’s auction volumes saw the only increase from 1,061 last week to 1,153. Other cities experienced a decrease in auction numbers, including Melbourne which fell seven per cent with 1,608 homes currently scheduled to go to auction, down from the 1,732 auctions held last week. Melbourne returned a final auction clearance rate of 66.9 per cent last week, recording the second consecutive week below 70 per cent and the cities lowest clearance rate since July 2016, however volumes reached their second highest level seen this year with 1,732 auctions held, down from the 1,296 held over the week prior when 69.2 per cent cleared. Despite the significant drop in auction volumes, CoreLogic recorded that it was Victorian suburbs that garnered the most attention, with Bentleigh East recording 21 properties scheduled to go under the hammer. Marrickville in NSW followed with Melbourne’s Craigieburn, Glenroy Reservoir trailing closely behind as hot spots, hosting 19 auctions each. 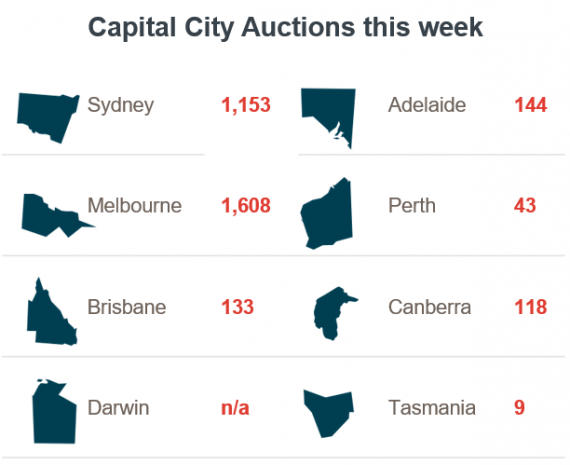 Throughout Australia’s capital cities were expected to see around 3,208 auctions for this week, which will be a five per cent drop in volume compared to last week’s 3,390 auctions held across the country. The final auction clearance rate last week, fell across the combined capital cities recording a 60.9 per cent rate of clearance, which was the lowest clearance rate seen since the beginning of 2016, however volumes increased significantly week-on-week, with 3,390 auctions held, making it the third busiest week for auctions so far this year.